Hong Kong’s de facto central bank bought the local dollar for the first time since August after the city’s exchange rate fell to the weak end of its trading band against the greenback. 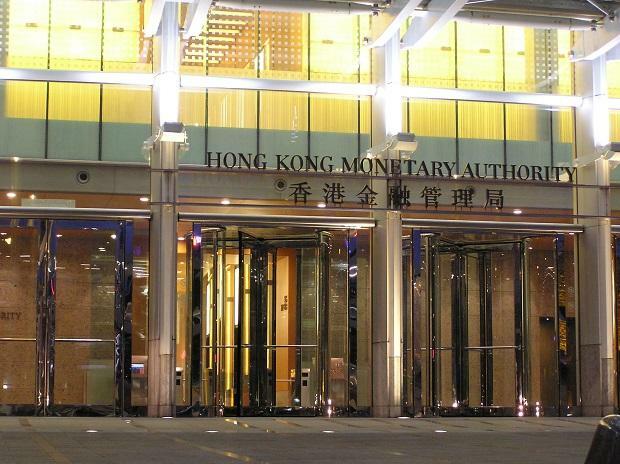 The Hong Kong Monetary Authority bought HK$1.507 billion ($192 million) of local currency during London and New York trading hours, it said in a statement on Saturday. The main reason for the currency’s decline was a significant widening in the interest rate gap between the Hong Kong and US dollars, HKMA Deputy Chief Executive Howard Lee said in the statement. He said it wouldn’t be surprising if the Hong Kong dollar again weakened to the bottom of its trading band, and the HKMA “stands ready” to defend the currency. Abundant liquidity in the currency market, weak demand for loans and a lack of large-scale initial public offerings in Hong Kong have also contributed to the rate gap, Lee said. Lower interest rates relative to the greenback have made shorting the Hong Kong dollar a lucrative trade. The HKMA, which needs to buy the currency at 7.85 per dollar to defend the trading band, intervened last year for the first time since 2005 at the weak side of the band. Continued purchases by the authority would tighten liquidity, which may drive up borrowing costs in the city. The actions of HKMA last year saw the aggregate balance, a measure of interbank liquidity, shrink by more than half. The balance stood at HK$76.3 billion on Friday, and will decline to HK$74.8 billion after the intervention.